Horton's NHL-sized outdoor arena has lighting for evening activities, and a roof to protect from weather. With four dressing rooms the facility is ideal for team games and practices. 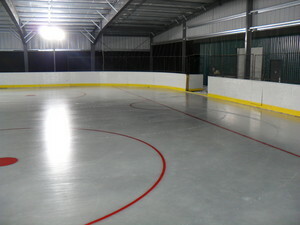 The arena is available for rental through the Recreation Department. All passes need to be visibly displayed on the dashboard of your vehicle.